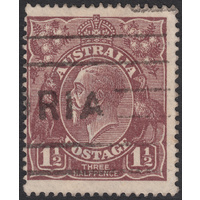 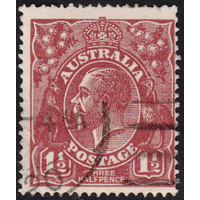 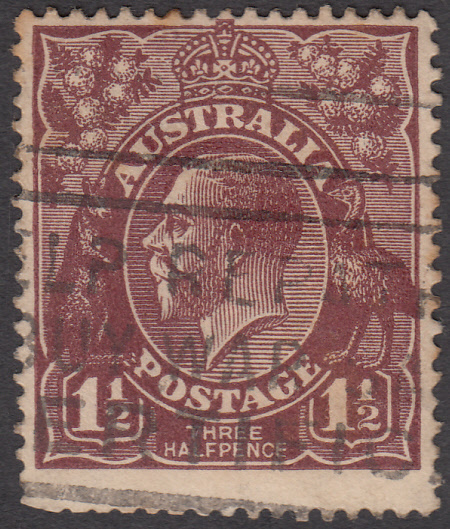 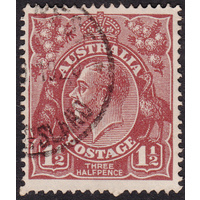 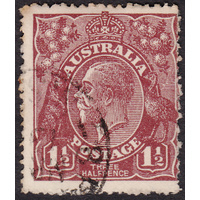 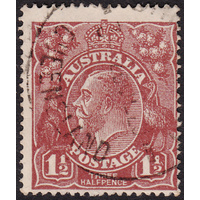 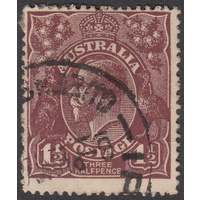 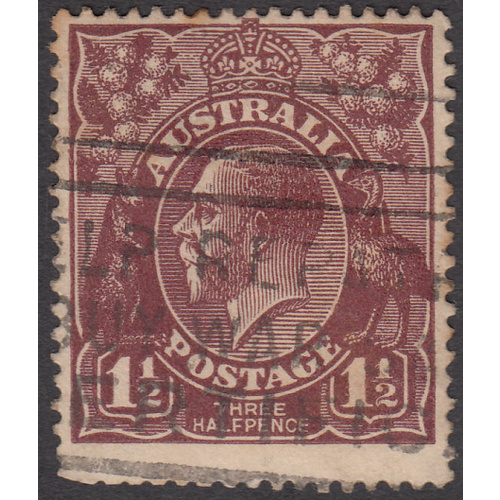 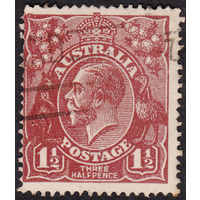 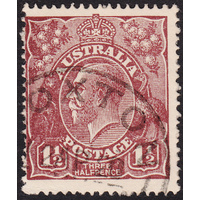 Australia KGV 1920, 1&1/2d Brown, Single Watermark, variety 7R10, (Two small dents on top frame at 3mm and 0.5mm left of crown, white oval frame bent upwards above T of AUSTRALIA, two shade breaks on 8th shading line at left of crown) in Good Used condition with a few clipped perforations at bottom left. 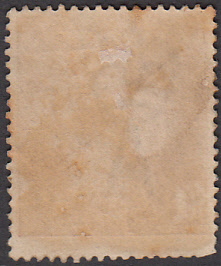 Centered high with a slogan cancellation well clear of all of the indicators. 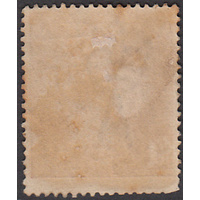 This cliche was later transferred to position 12R34 on Electro 12.